Zimasile Ngqawana affectionately known as ‘Zim’was born in New Brighton a township in Port-Elizabeth on 25 December 1959. He was the youngest of five children, and grew up with his grandparents. He was forced to leave school before completing his high school education. Ngqawana began his musical career singing in traditional gatherings and weddings before learning to play musical instruments. His first musical instrument was a flute that he made from a reed. At the age of 21 he began playing the flute and because of his talent, he was admitted to study at Rhodes University in Grahamstown. He soon learnt and mastered how to play a variety of other instruments such as the piano, tenor saxophone, harmonica, African cowbells. Ngqawana later enrolled and completed a National Diploma in jazz studies at the University of Natal. While he was at the university he worked with the University's ensemble, 'The Jazzanians'. While he was performing with the group at the International Association of Jazz Educator's convention in the US in 1988, his talent was noticed by Max Roach and Wynton Marsalis, American Jazz artists. Subsequently, they assisted him to obtain a scholarship that enabled him to go and study at the University of Massachusets where he studied and performed alongside saxophonists Archie Shepp and Yusef Lateef.This marked Ngqawana entrance to international audiences. After his return to South Africa in the 1990s, Ngqawana worked alongside leading South African jazz artists, Abdullah Ibrahim and Hugh Masakela. 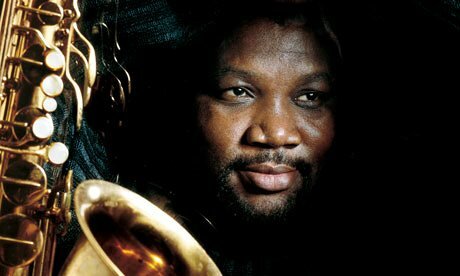 He also closely worked with upcoming jazz artists in Johannesburg. In 1993 he performed to a Dutch audience at the Tilburg Festival alongside Paul van Kemenade. Ngqawana’s talent saw him direct the Drums for Peace Orchestra; a 100-piece ensemble at the inauguration of South Africa’s first democratically elected President, Nelson Mandela in Pretoria. He toured Europe after being invited to be part of the Moving into Dance Company, and also went to America with his band ‘Ingoma’ in 1995. The following year, 1996, he released his first studio album, San Song. Two years later he released ‘Zimology’ (1998), ‘Ingoma’ in 1999 and ‘The Zimphonic Suites’ in 2001. In 2004 Ngqawana together with Brubeck were asked by the Lincoln Center Jazz Orchestra in New York to produce ‘Let Freedom Swing’, an orchestra work celebrating human rights and social justice. That same year he released his album ‘Vadzimu’ which showcased other upcoming jazz artists like Marcus Wyatt, a trumpeter, Andile Yenana, a pianist and the double-bass player Herbie Tsoalei. In 2005 he performed a duet withLefifi Thladi in a documentary called ‘Giant Steps’ directed by Geoff Mphakati and Aryan Kaganof. While rehearsing to perform at the Wits Great Hall, Ngqawana suffered a stroke and collapsed. He was taken to Charlotte Maxeke Academic Hospital where he passed away on 10 May 2011.